There is a fascination surrounding the subject of pirates and pirate lore that centers around the romanticized impression of lawless, brutal ruffians pillaging ships, hunting for gold and treasure, and traveling in massive ships waving the skull-and-bones flag. The golden age of piracy produced many grandiose and notorious characters whose incredible stories have found their way into this one-of-a-kind book. 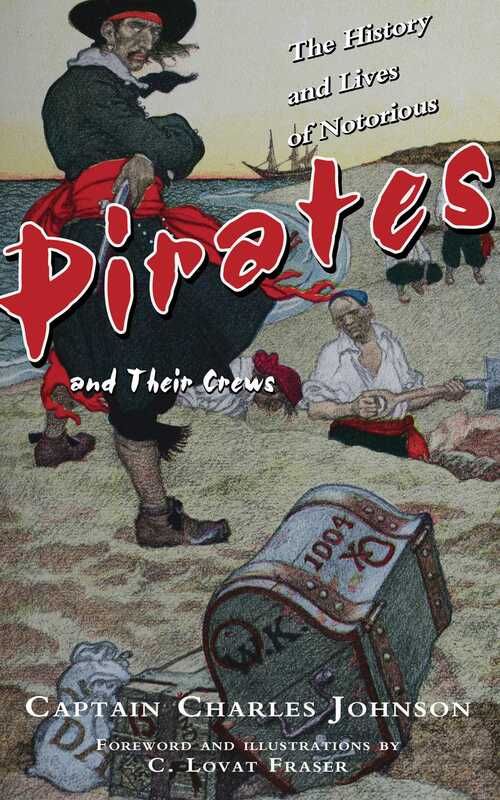 Originally published in 1735, The History and Lives of Notorious Pirates and Their Crews grippingly chronicles the adventures and misadventures of the most infamous pirates who ruled the high seas at the turn of the eighteenth century. From Captain Spriggs’ rampant use of torture on his victims, to Bartholomew Robert’s incredibly successful pirating career, Blackbeard’s legendary fearsome demeanor, and Captain Kidd’s tragic end, these truly enthralling stories of privateers turned bandits will leave readers on the edge of their seats. Though the author’s true identity is still debated, his book helped shape the very concept we hold of pirates todayinfluencing such writers as J. M. Barrie, Rafael Sabatini, and Robert Louis Stevenson.